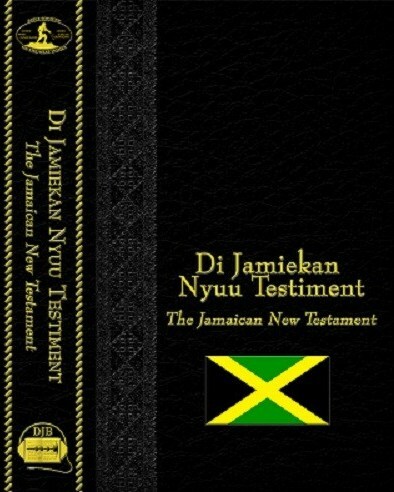 I have been following the translation of the Bible into the Jamaican language, often called Patwa or Patois. The translation has stirred a controversy that is not typical. New translations of the Bible are often criticized for “faults” in the translation. But that is not what is happening with Patwa. Instead, the critics are unhappy that there is a translation in the language at all. They think that Patwa is not a real language, or not a language worthy of a translation, or they think that people should read the Bible in English instead of Patwa. 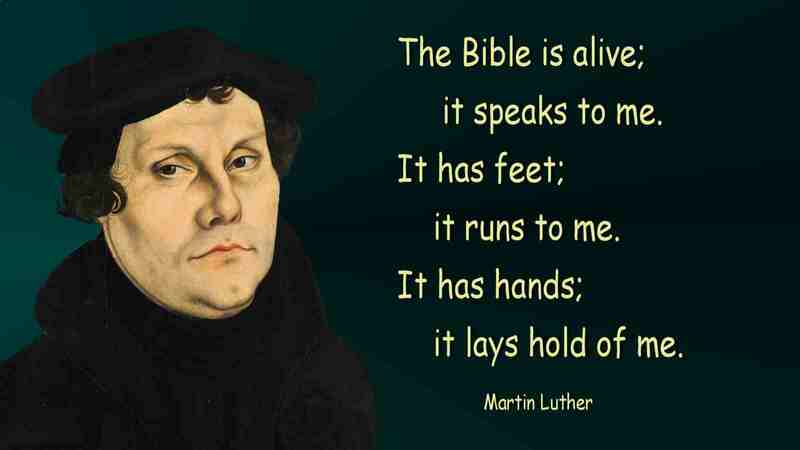 But since the reformation, objections in principle to translating the Bible have been rare in the West. But they are surfacing again in Jamaica. Those making the objections probably are mostly unaware that they are saying many of the same things that were said against translation into English before and during the reformation. Some of the objections are just silly. When the Jesus Film in Patwa was released, a number of people objected that Jesus never spoke Patwa. Of course, those same people have no such objection to the Jesus Film in English. 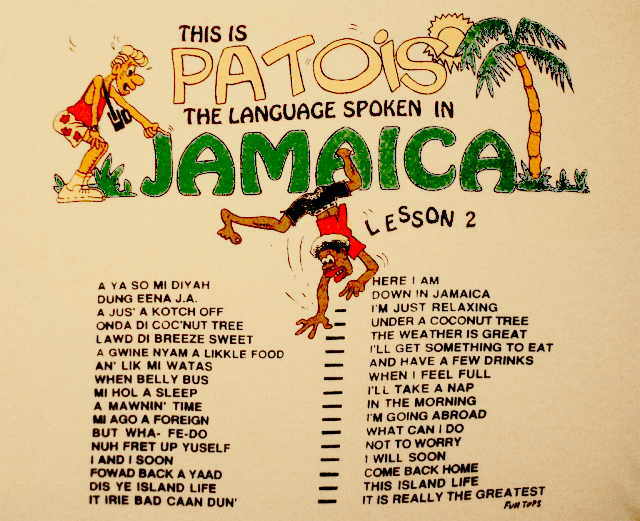 But many sincerely feel that a translation in Patwa is offensive. They cannot imagine any good reason for putting holy, divinely-inspired words into a simple and sometimes reviled language like Patwa. Some people whom I have met go even further and feel that a modern translation is not only unnecessary but even offensive. They cannot bear to see the time-honoured words altered; it seems to them irreverent. His response to their concerns is relevant to the discussion in Jamaica today. The only kind of sanctity which Scripture can lose (or, at least, New Testament scripture) … is an accidental kind which it never had for its writers or its earliest readers. The New Testament in the original Greek is not a work of literary art: it is not written in a solemn, ecclesiastical language, it is written in the sort fo Greek which was spoken over the eastern Mediterranean after Greek had become an international language and therefore lost its real beauty and subtlety. … It is a sort of ‘basis’ Greek; a language without roots in the soil, a utilitarian, commercial and administrative language. Does this shock us? 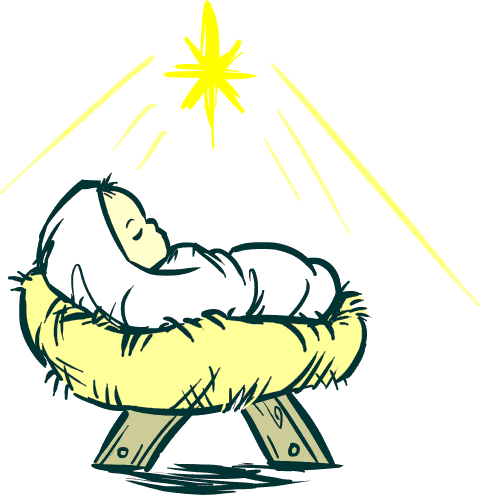 It ought not to, except as the Incarnation itself ought to shock us. The same divine humility which decreed that God should become a baby at a peasant-woman’s breast, and later an arrested field-preacher in the hands of the Roman police, decreed also that He should be preaching in a vulgar, prosaic and unliterary language. If you can stomach the one, you can stomach the other. We sometimes run into this same objection in Africa. Christians in African countries were English is the official language and who are used to the time-honored phrases of the King James Version, can find the translation in their language too commonplace, lacking solemnity. The same happens in French-speaking countries with the revered Louis Segond translation. As Lewis points out, the supposed “solemnity” is an invention, something that did not exist in the original New Testament, but something that we have added. The expectation that God speaking will be in a more solemn and holy language than ordinary is aided and abetted when we use an older translation. 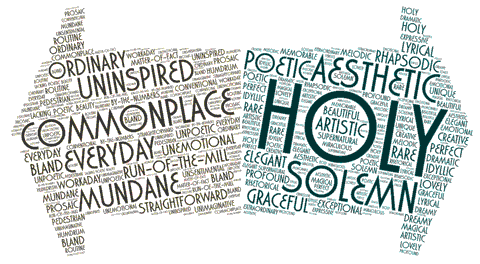 The archaic language sounds flowery and solemn leading some readers to associate that style with Scripture. We forget that God came down in very, very ordinary form and that we should expect his Word to be the same. So, in order to see translations widely used, we sometimes have to address the concerns of those who find them too commonplace, especially if they are in positions of authority. It’s not a part of being in Bible translation that I expected. I’m following the developments in Jamaica to see how proponents of the translation answer the critics. I might borrow some of their arguments. On the other hand, it looks like maybe the positive impact of the translation in peoples’ lives will be more powerful than any logic. In 1800, of all the languages in the world, only 68 had a translation of the Bible. Today, the number of languages with the whole Bible stands at 670 and another 1521 have the New Testament. A total of 3321 have some or all of the Bible in print. You can find all these facts at http://www.wycliffe.net/statistics. Most of these translations were done by Western missionaries; making the last two hundred years the era of missionary Bible translation. The missionary approach has been very successful both in terms of the number of translations and in terms of the spread of Christian faith. It will certainly go down as a glorious era in the annals of missions. But the missionary era is fast coming to an end. While new translations are still starting at a good clip, fewer and fewer of them are started, organized or lead by missionaries. Local people and churches are doing those things. This shift is anything but a sign of failure. In fact, it is the exact opposite – a sign of success. In Ghana where I work, Ghanaians who themselves received the Bible in their languages during the era of missionary translation are now undertaking translation in the languages of Ghana not yet so endowed. This turn of events is healthy – to be expected where God is working. Missionaries did things in a certain way – one that suited their preferences and those of their organizations. Ghanaians are keeping some of those ways, but in other cases they are mixing things up. I expected they will change more things over the next decades. With others around the world and under God’s guidance, they are inventing the next era of Bible translation. About two centuries ago, German church leaders, business people and others seized an opportunity. They sent missionaries to evangelize and translate the Bible into the languages of the Gold Coast, now called Ghana. Some came with their coffins in tow and a number died while carrying out their work. Some lost children. But they bent German economic-industrial and theological prowess to the task. They trained select Gold Coast citizens in the world’s best seminaries of the day – German seminaries – under the best theologians of the day – again German. They did language development, translation, literacy education and evangelism in the languages of the Gold Coast using some of the best linguistics training of the day from German universities. They created dictionaries and grammars of Ghanaian languages which are still highly regarded, even definitive. 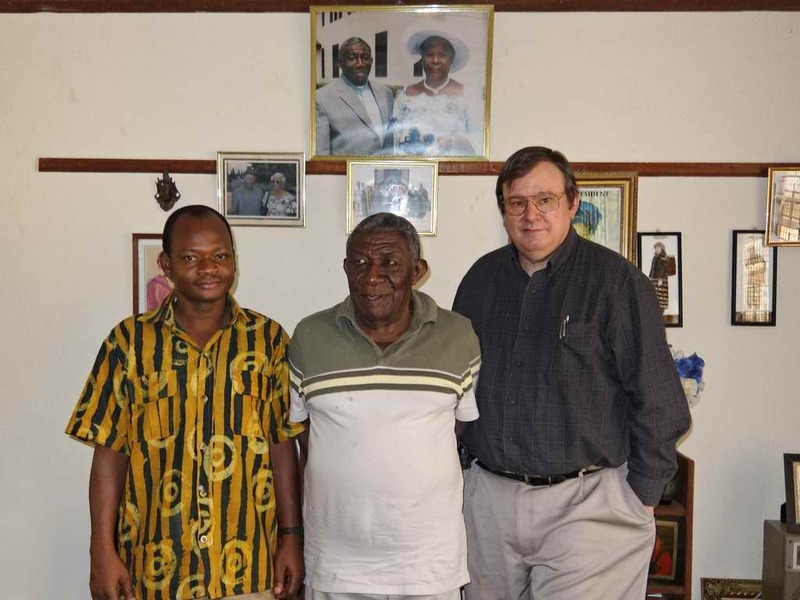 They produced world-class Bible translations in the languages of the southern half of Ghana. As the translations were completed, they were forced to leave because of World War I. At that point, their evangelistic efforts had only yielded modest fruit as the Gold Coast was then less than 5% Christian. During the first half of the twentieth century, Christianity expanded rapidly, but only where there were translations. Where they existed, mother tongue translations enabled Christianity to penetrate all classes of society. Men with minimal education but who read the Bible in their mother tongues became church leaders, pastors, and evangelists. With their mother tongue Bibles they grew the church in a relatively hostile environment. Some of those churches now have millions of members and thousands, even tens of thousands, of congregations. Schools founded by the missionaries trained the people who went on to militate for and then gain Ghana’s independence and lead its businesses and industries. Meanwhile, the transformation did not take place in areas where there was no translation. Ghana was decisively transformed where German missionaries translated the Bible, and left untouched elsewhere. Let us remember that their efforts were initiated, organized and financed by German churches and that those churches were being empowered by their members who were both creating and benefiting from 19th century Germany’s emergence as a world theological, industrial and economic power. When church members stand behind missions, amazing things happen. 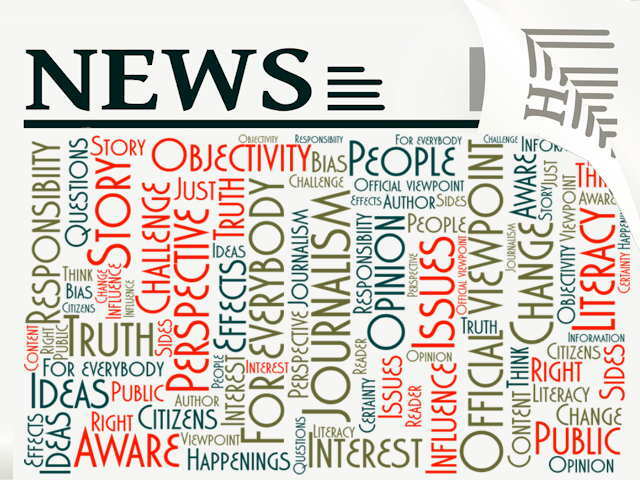 Today (May 3) is World Press Freedom Day. This year marks the 500th anniversary of the Reformation. According to World Magazine editor Marvin Olasky, modern journalism has roots in the man whose started the Reformation – Martin Luther. In 1517 he posted a list of 95 thoughts (called 95 theses) on various church practices of his day on the door of the church at Wittenburg, starting the Reformation. Within months, Luther’s document had been picked up by the newly invented printing industry and spread throughout Europe. I turned out that Luther wrote vivid prose and he turned out many short articles on the key religious and political issues of his day. He also translated the Bible into German. The second idea is that ordinary people using their everyday language can understand and make their own decisions about the issues that affect them. This was also radical as many in Luther’s day expected people to just do what political and religious authorities told them. In our days in the Western world, these two ideas are so basic that we don’t often think about them. But in some places they are still radical. I have met Protestant pastors and even the occasional missionary who didn’t like the translation in the heart language (the people’s mother tongue) because they felt it undermined their authority. The thing is, they are right; it does indeed undermine their authority. When people read and study God’s Word, they start questioning what they have been taught. Yale history professor Lamin Sanneh has documented cases of Christians in Africa reading the Bible in their languages and then adopting different understandings than those held by their missionaries. That changes in peoples’ heart and thinking was critically important. 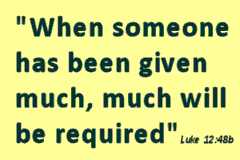 Heart change cannot not be accomplished by applying authority. That God will act powerfully through his Word in the people’s language. 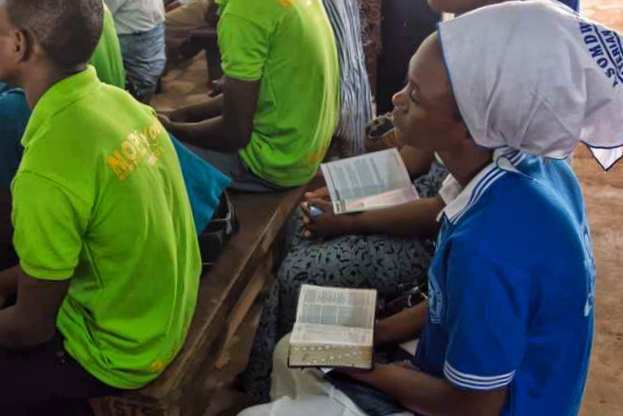 The spectacular growth of Christianity in Ghana where the Bible has been translated into the languages of the people is one of the testaments to freeing the Word Luther-style. We are working to freeing it for the peoples in Ghana who have not yet been accorded the opportunity to it judge for themselves. 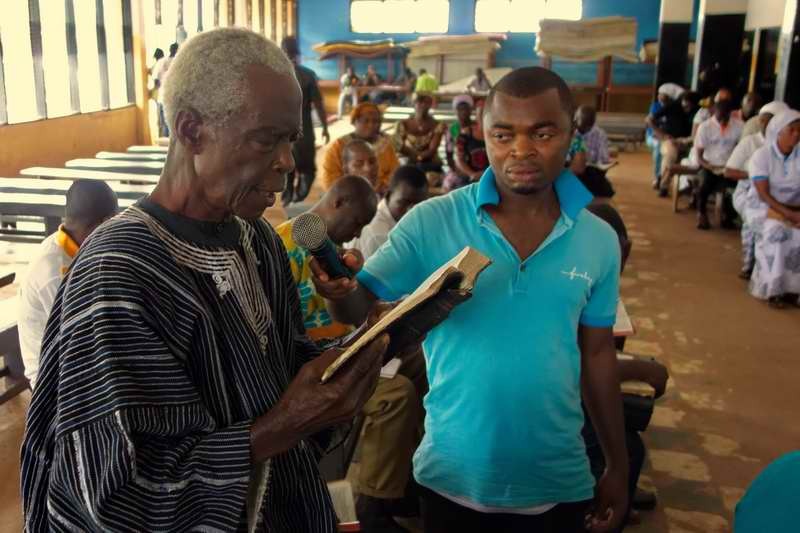 Last week, this blog was about how Bible translations done in Ghana in the late 1800s contributed to dramatic church growth in the first half of the 1900s. I also noted that after a first wave of translations carried out by German Presbyterian missionaries, there were no translations started in other Ghanaian languages for 50 years. The churches that grew on the basis of those translations, who used them widely and enthusiastically did not take up the task of translating the Bible for their fellow Ghanaians who still did not have the Bible in their languages. This situation is not unusual. The Bible was translated into the Ge’ez language (also called Ethiopic) of Ethiopia sometime in the 5th, 6th, and 7th centuries. It was one of the first translations of the Bible coming just after Jerome did his translation, the Vulgate, into Latin. It was also followed by a time when no more translations were done, but the stoppage in Africa lasted over 1000 years! 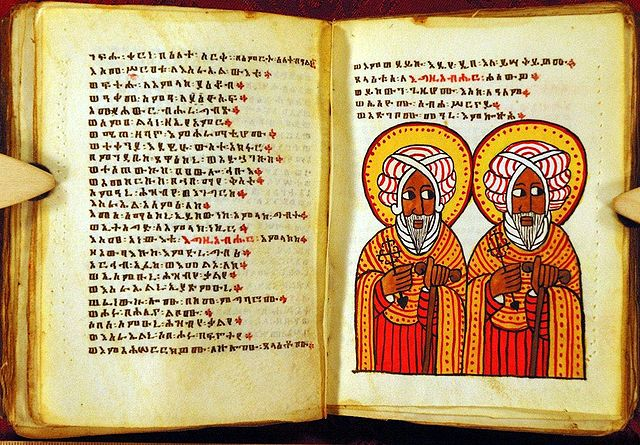 Having been blessed with a translation in their own language, Ethiopian Christians did not start other translations. Exactly the opposite! Even when the Ge’ez language died out sometime before the year 1300, the church and Christians in Ethiopia continued to use and revere the Ge’ez translation that no one understood except a few academics. Not only did they fail to translate the Bible into the Amharic language which became the most widely spoken language in Ethiopia, they insisted that the incomprehensible Ge’ez translation was the only real Word of God. History shows that it is the usual pattern that people who receive a translation of the Bible from missionaries and use it enthusiastically, do not then decide to translate the Bible for others. In fact, they might insist that others use the Bible in their language, even when that translation becomes archaic or the language even disappears. In this sense, translating the Bible is often a dead-end task. Oh, it bears fruit in terms of faith and the growth of the church where that language is spoken. In that way it is anything but a dead-end. But translating is most often a dead-end in terms of prompting the beneficiaries to do a translation for a language next door or in the next country. There are probably many American Christians who are deeply blessed by the Bible in English but who have not thought about making sure those who speak other languages have the same blessing. Our role in Ghana is to work with Ghanaians to show the churches here the dead-end sign they have erected without thinking about it so that the Holy Spirit might prompt them to take it down and build a continuation of the road missionaries started by translating the Bible into the Ghanaian languages that still don’t have it, and then continue beyond Ghana’s borders. It was in the late 1800s and early 1900s that missionaries working with local people completed the first translations of the Bible into the languages of southern and central Ghana. At the time, less than five percent of Ghanaians were Christians. 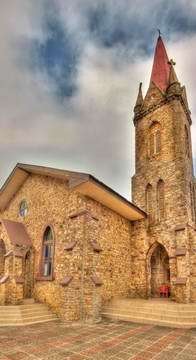 The German Presbyterian missionaries saw their churches grow slowly but steadily. Then two things happened no one expected. The first was World War I. 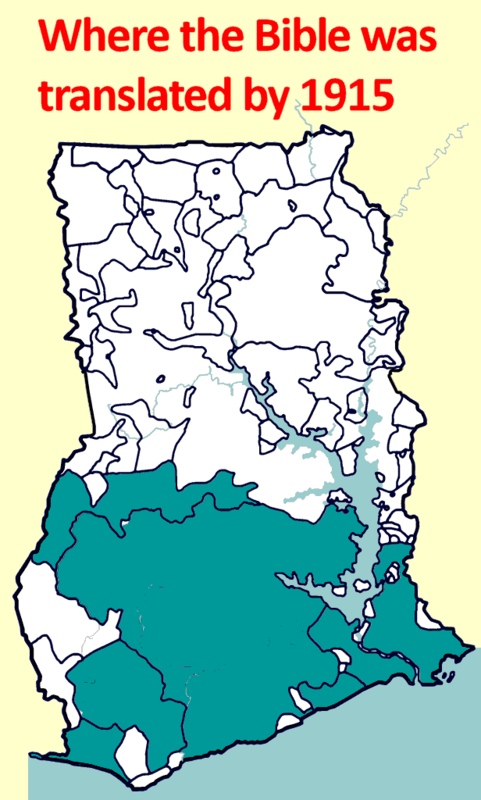 At the time, Ghana was then The Gold Coast and it was a British colony. As you can imagine, Germans were not welcome when Britain entered WWI, not even missionaries. The authorities expelled the German missionaries. The church they had started had to stand on its own. It did, and it grew, using the Scriptures and liturgy in local languages. The second unexpected event was the arrival of Pentecostalism. 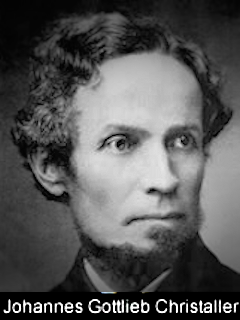 A layman named Peter Newman Anim left a church founded by missionaries, encountered some pentecostal theology coming out of Portland, Oregon and founded the Christ Apostolic Church. Those who ministered with him were uneducated farmers, laborers, fishermen and even hunters. So they didn’t know English. The Bibles in Ghanaian languages became their only source of faith and truth. They worshiped, read, taught and evangelized in those languages. In the first half of the 20th century, Pentecostalism reached deeply into the uneducated who were most Ghanaians at the time. They learned to read in church, their songs were full of Scripture and they took the Bible as the Word of God. The results were astounding. Over the first five decades of the 20th century, the percentage of Ghanaians professing Christian faith grew from a paltry 5% to at least 50% (it stands at 60% today). But only where the Bible had been translated. Elsewhere, other religions made headway. It was quite a combination: the Scriptures in the mother tongue and a church that took both the mother tongue and the Scriptures seriously. They had no doubts whatsoever that God speaks through his Word. Nor did they wonder if their language was up to the task of conveying Bible truth. Some of my colleagues recently went to visit the head of the church Anim founded. On hearing that they are involved in translation into Ghanaian languages, he spontaneously launched into a historic and theological rationale for the use of the heart language (including the translation of the Bible) to create vibrant churches. He should know; his church has grown to have several million members and although it has many educated members, the backbone is still preaching, singing, worship and reading the Bible in the heart language. The translation of the Bible in Ghana stopped after the German missionaries left. No new translations were started for 50 years. In the 1960s, a new wave of Bible translation, this one initiated by Wycliffe Bible Translators, started in the north. By the 1970s New Testaments were being dedicated here and there in the North. More recently, and 100 years after it happened in the south, a number of whole Bibles have been dedicated. Just as happened in the south 100 years ago, churches based on the Scriptures in the heart languages of the people are taking hold. But, there was a short stoppage again from 1990 through 2010. We are working to have the third wave of translation in Ghana be the last and be the one designed, implemented and resourced by churches and Christians in Ghana. 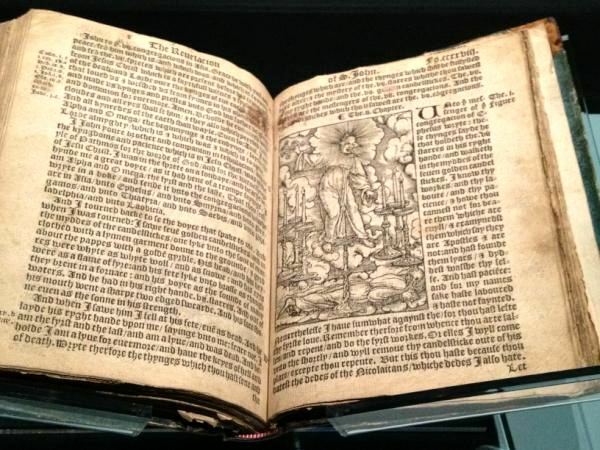 In May last year, a country lifted a ban on the Bible which had been in place since 1969. When I learned about it, I laughed. I was thinking about the futility of banning the Bible. There has been a long history of banning the Bible and all attempts have failed. 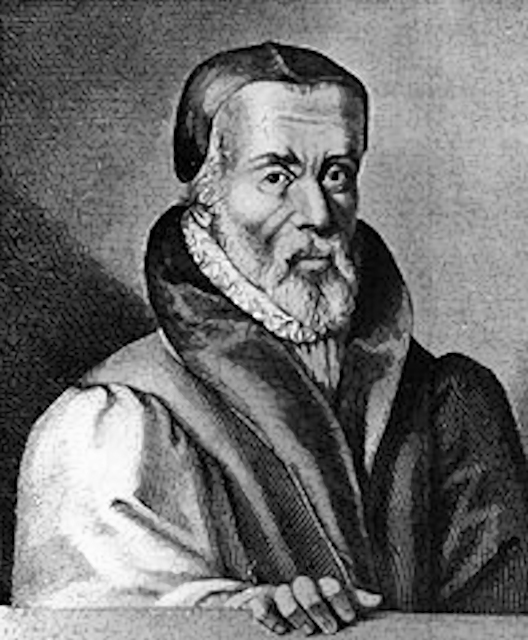 In one case hundreds of years ago, William Warham, the Archbishop of Canterbury, tried to ban Tyndale’s translation into English as well as other books. Did you know that China now prints more Bibles than any other country? The Bible is now available in Russia and other parts of the former Soviet Union. In fact, Russians are translating the Bible into the languages of Ghana. It is silly to ban the Bible. For one thing, the ban never sticks. Oh, it might stick for a few decades, but history shows that a ban on the Bible is not sustainable government policy. Because I have spent most of my adult life in Africa, people in the US sometimes ask me how I see my country. One of my observations: Christians don’t laugh enough at the actions of government, officials and politicians while wringing their hands too much. We need to imitate God more by having a good belly laugh at some stuff that usually has us in consternation. There are still plenty of places in the world where the Bible cannot be freely distributed, studied or translated. Join me in a laugh of faith in the hope that will change. This week is Banned Books Week which is an annual celebration of the freedom to read, first celebrated in 1982. I don’t like everything that everyone celebrates during banned books week, but I would like to celebrate a particular case. Do you know what country mounted a military operation, including deploying its navy to prevent a book from being imported into the country? And do you know what book that might be? Given the subject of this blog, you have probably guessed that the banned book was the Bible. It now seems quite extraordinary, but the whole country was put on alert. In order to prevent the word of God in English landing in the land of the English, naval ships patrolled the coastal waters, boats were stopped and searched, men were arrested and a great many Bibles were intercepted. The action taken was indistinguishable from being on a war footing and to Henry VIII and Wolsey it was just that. Latin was the only word of God allowed by the state and now the state came out in full armed force to defend its most loyal ally, the Church. In many traditional societies, religious language has tended to be confined to a small elite of professionals. If God spare my life, I will see to it that the boy who drives the plowshare knows more of the scripture than you, Sir! The Christian approach to translatability strikes at the heart of such gnostic tendencies, first by contending that the greatest and most profound religious truths are compatible with everyday language, and second, by targeting ordinary men and women as worthy bearers of the religious message. Today, few Christians subscribe openly to the idea that we should blindly follow religious experts. But sometimes our actions are not fully aligned with the idea every person can know the truth when they have the Word of God to consult and the Holy Spirit to guide them. I have seen missionaries and churches willing to put resources into propagating their doctrines but not into giving people the Word in their language. That approach is closer to Wolsey’s than it is to Tyndale’s. I have full confidence that making God’s Word widely accessible is good for Christian faith, the church, families and all of society. Research into the impact of Bibles in Ghanaian languages confirms this. During banned books week, let’s celebrate Tyndale. Let’s also check the practices of our churches and missionary endeavors to make sure that they do not subtly elevate something else to the place where it eclipses the Bible. Those of you following this blog will have notice that I have a fascination with the reformers. A lot of that is because of my ministry – helping African churches engage in Bible translation. So I wanted to know what provoked the spate of translation of the Bible surrounding the reformation, thinking that might help me with my goals. I believe that it does. Today (May 26) in 1564, John Calvin died. He did not translate the Bible but he was a solid supporter of those who did. One of Calvin’s most lasting legacies is his systematic theology, which he entitled Institutes. 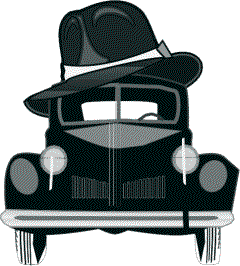 In fact, it is still for sale today in several languages. 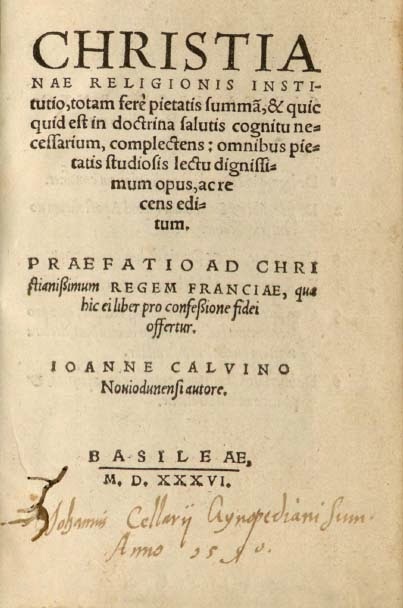 As did many theologians of his day, Calvin wrote his theology in Latin. That was, after all, the language of the clergy and other theologians. It was, however, not accessible to the people. 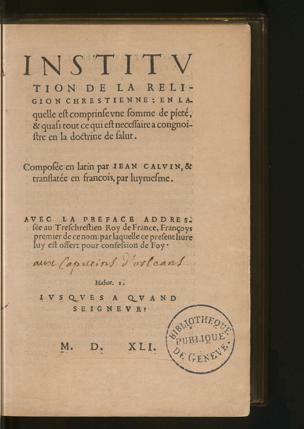 So, when Calvin revised his Institutes, he wrote them in his mother tongue – French. At the time, that was very unusual. But it is easy to see Calvin’s logic. He wanted to get theology out of academia and into the street. The best theology is not written by the pens of academics, it is the simple but profound beliefs written on the hearts of ordinary people when the Spirit makes the Scriptures real to them. Other reformers did the same – writing at least some of their academic and popular works in their mother tongues. They turned away from the recognition they might have received from the world of clergy and theologians; turning their focus toward ordinary people. This turn toward ordinary people as “worthy bearers of the message” (Lamin Sanneh’s words) and as a force in change, informed not just their translation efforts, but many other things they did. Today I have the same confidence – that ordinary Africans, even those with little education, can be a force for change in their families, villages, cities and countries through knowledge of the Word of God in their languages. This confidence is not theoretical. In the places in Ghana where the Bible has been translated, ordinary people are changing things. Sometimes educated Ghanaians are surprised to see the degree of change initiated by those with much less education but who have become conversant with the Bible in their languages. Every year, Armenian Christians celebrate Mesrop Mashtots who passed away on this day (February 17) in the year 440. 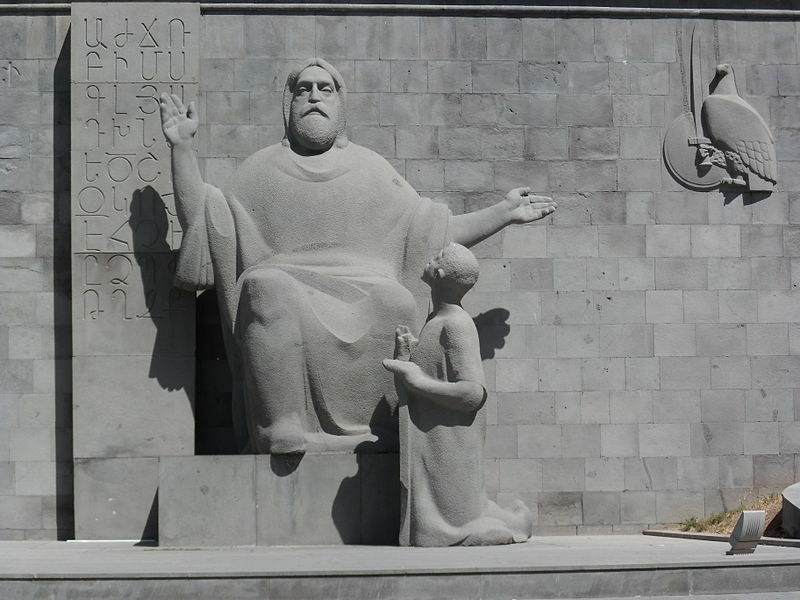 He was an Armenian theologian, linguist and hymnologist, best known inventing the Armenian alphabet in 405 AD. He was born to a noble family and had a classical education, but left his privileged position to preach the Gospel in Armenia. He had great difficulty establishing people in faith because Syriac was the only language used in church services and few Armenians understood it. Mesrop wanted to minister in Armenian, the language of the people. There was a problem; the Armenian language did not have an alphabet. It has never been written. Mesrop enlisted the support of the King for this endeavor to create an alphabet for Armenian. As soon as he finished the alphabet others translated the Bible into Armenian using the new alphabet. He then started schools in Armenian to drive learning down to everyone. 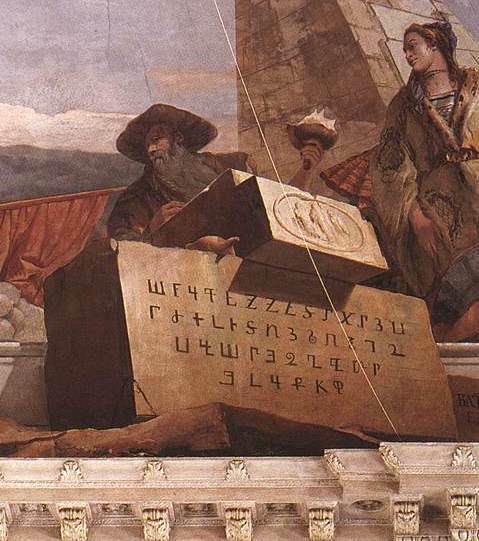 The very first sentence written in the new Armenian alphabet was the first verse of the Book of Proverbs: “To know wisdom and instruction, to perceive the words of understanding.” Even today, Armenians consider Mesrop’s creation of the Armenian alphabet one of the most important events in their history. Not only did it enable the translation of the Bible, it also caused an explosion of writing in Armenian. Literature abounded. Such was the religious, social and cultural impact that there is hardly a town in Armenia which does not have a street named after Mesrop. It is odd to think about Europeans as illiterate peasants speaking languages without writing – people needing to climb the tall hill of learning another language to get education or have access to the Bible. But it was really like that. In that context, which is the same as that or most bibleless peoples today, Mesrop did not see developing an alphabet as an academic exercise. Rather he saw it as fundamental to anchoring Armenians in the faith and to having an informed society. It is this same motivation that even today keeps people developing alphabets for unwritten languages, organizing literacy and translating the Bible. Driving information, and the ability to store and process information, down to the grassroots is not a paternalistic endeavor where the missionary seeks to “civilize” local people. Rather, it is a way to give people the tools that enable them to make their own decisions and promote the changes they want. It is a missionary method that believes that the through the Bible the Holy Spirit will guide new converts to make the right choices. It is quite different from an approach where the Christians at the top expect people at the grassroots to learn the language of those at the top to get access to the Bible. Or one where the VIPs tell people at the grassroots what they should believe and do. This table shows the codes for using the Armenian alphabet on computers. In a few short clicks I put the Armenian keyboard on my computer and typed this: աբգդէֆքհիճկլմնոպխրստըվւցեզ. Mesrop would be pleased.